Margaret Ball's books and art: Now at just $0.99! After looking at recent sales numbers and reading a whole slew of advice, I've decided to change the prices of my Applied Topology series. The first 5 books were all priced at $2.99. A couple of weeks ago I released the 6th book, A Revolution of Rubies, at $3.99. The slightly higher price hasn't hurt sales; if anything, it's selling better than the earlier books. I've also been looking at the results of an acquaintance's attempt to boost sales by dropping prices from $3.99 to $2.99. I've yet to hear his analysis of the results, but judging from Amazon rankings, the price drop doesn't seem to have made much difference. So... I've decided to raise the price on Books 2-5 to $3.99. This is not so much about the slightly increased royalty (I'll make a whopping 65 cents extra on each sale, whee) as about perceptions of what the book is worth. I feel that raising the price to the average e-book price in the fantasy genre is a statement that I believe this is a good book and well worth $3.99. The $2.99 price is below average and seems to me to be slightly apologetic: please please please take a chance on this book! Yeah, yeah, it's all in my head. What else? That's where I live! 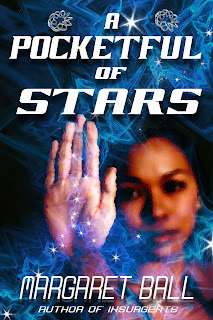 At the same time, I've dropped the price of the first book in series, A Pocketful of Stars, to $0.99. 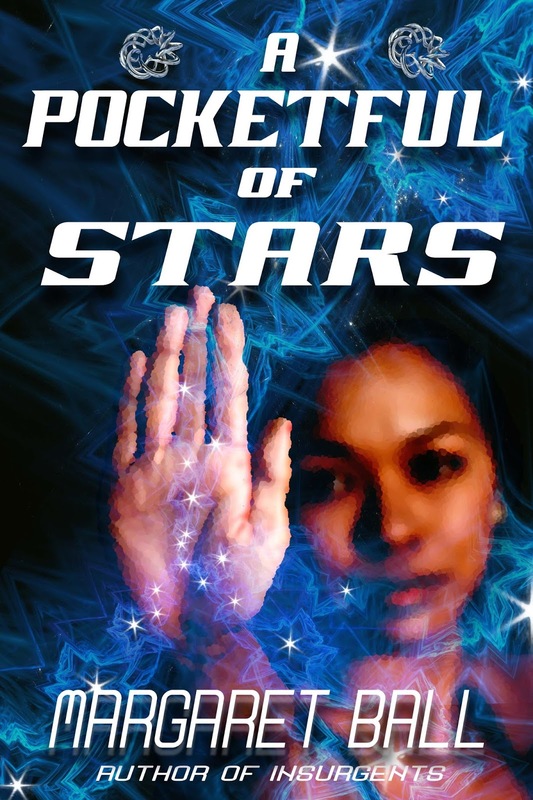 I'm hoping that the lowered price will attract more new readers (who will then, of course, be so taken with the book that they'll rush right back to Amazon and download the other 5 books). I'd actually have liked to make it free, but at present that requires a little dance with Amazon that I don't have the patience for. I'd have to format it for publication on another platform, price it at $0.00 there, then write to Amazon and ask them to pretty please match the price on the other platform. In a couple of months I'll report on the first results of this change... just in case anybody here is passionately interested in the details of ebook pricing. I try and follow KKR and DWS advice and now price my books at 4.99 as it seems to be a reasonable price, and copies still sell. My impression is that $4.99 is perfectly reasonable for some ebooks -- it's a lot less than the cost of a paperback these days! Mine are relatively short, though -- 60-70000 words -- and I worry that people might feel cheated. As for what's happened to paperback pricing -- when I was in school I read an exhortation to young people to buy more books, as the price of a paperback book was no more than that of a banana split. And it was perfectly true: at that time, either one would cost you all of 35 cents! How much do banana splits cost now? BTW: I don't seem to have your email address. Mine is ashley (at) ashley-pollard (dot)com. Just wanted to ask if you're alright? Your last comment on my blog sounded forlorn. I've been there, done that. Just checking in. I actually checked! Banana splits at two different restaurants were under $5. The average price of a new Simon and Schuster mass market paperback is $7.50. In the battle for customers' entertainment dollars we're losing ground, people! And thanks, I'm doing ok now. January, however, was an extremely fraught month with alligators crawling out of the swamp, and correspondingly deleterious effects on creative work. And my email is margaretball7 at gmail. Have to chime in on the banana split pricing. It brought back memories of junior high school when my best friend and I would pool our lunch money for the day and ditch the cafeteria lunch for a shared banana split at a restaurant down the street. I want to say it was $1.50. Would have to wonder if today's banana splits, are as generous in size. Those 3 scoops of icecream were huge! Well, you made me go check my bookshelf. I have a very tattered and well loved paperback copy of Possible Worlds of Science Fiction copyright 1951 priced at 35 cents. It belonged to one of my older brothers but I managed to make off with it at some point. My college copy of Brave New World (early 70's) was 95cents. Also from my college days, a copy of Hamlin Garland's Main-Travelled Roads copyright 1961 - a mere 75 cents. I truly had forgotten one could get new books at such a price! But honestly, that was decades ago so unless it's a fire sale, (like the first of this series), don't give your work away. I'm sure you need every 65 cents in royalty that you can get - lol.